Tuner Battlegrounds is an online competition portal hosted by PASMAG where automotive enthusiasts can compete with their modified vehicles and/or vote for their favorite modified vehicles or automotive builders on www.tunerbattlegrounds.com. Participating automotive enthusiasts of Tuner Battlegrounds have the opportunity to be compete for an exclusive print feature in PASMAG, giveaways from sponsors and/or awards at participating events. HERE'S THE SPIN - rather than PASMAG selecting the competition winners as judges, this responsibility falls on the automotive enthusiast - the audience, fans, show-goers and friends and family of the competitors or events. With a click of a button (Facebook-enabled voting) or creating a new post with a designated hashtag (Instagram, Twitter), the audience will be able to vote and select their favorite competitor(s) from stage to stage (rounds). 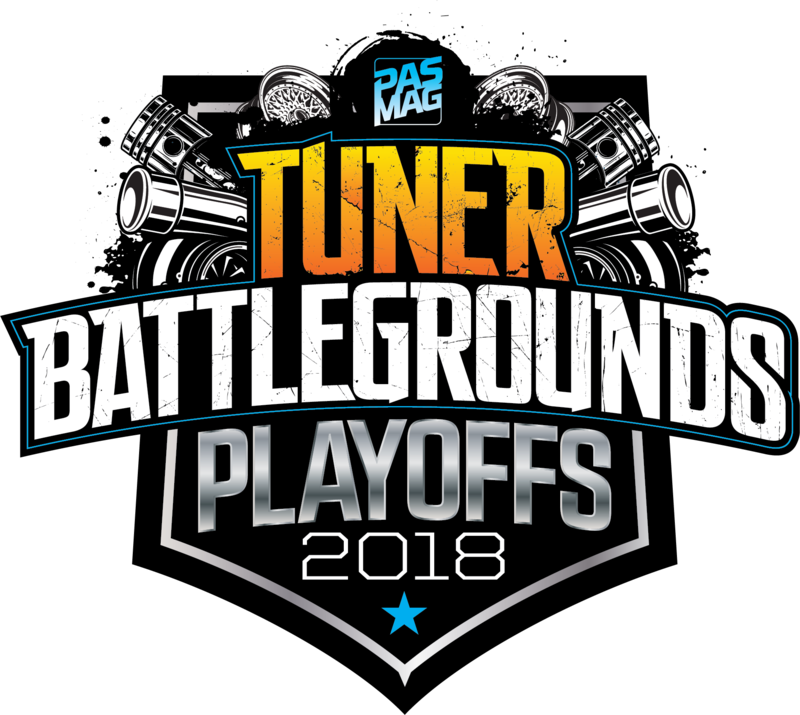 The annual Tuner Battlegrounds Playoffs competition takes place online between September and November. 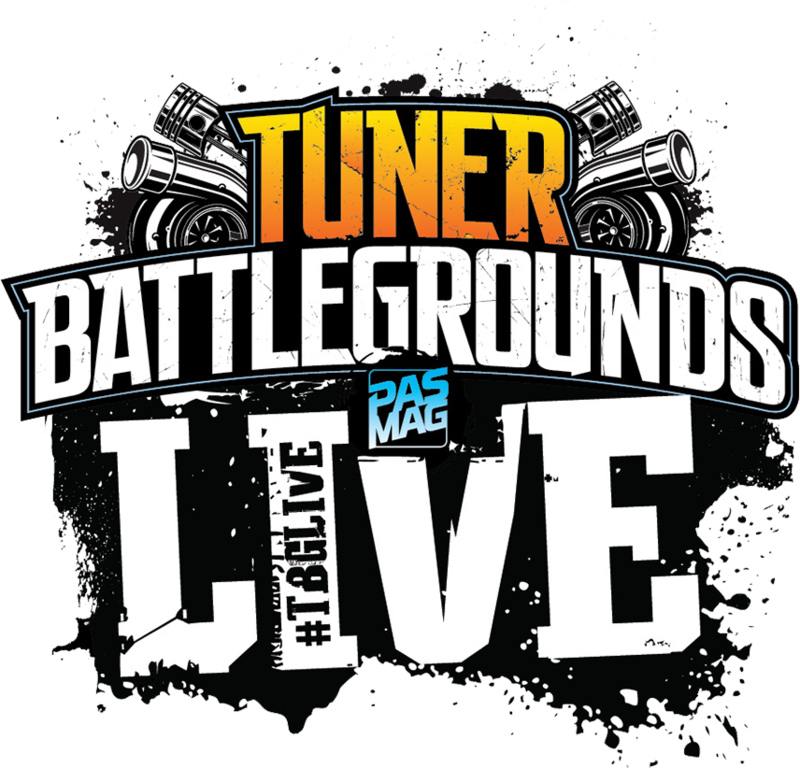 The Tuner Battlegrounds #TBGLIVE competitions take place online between the week leading up to a participating event and on-site at the event. The voting takes place exclusively online on www.tunerbattlegrounds.com. 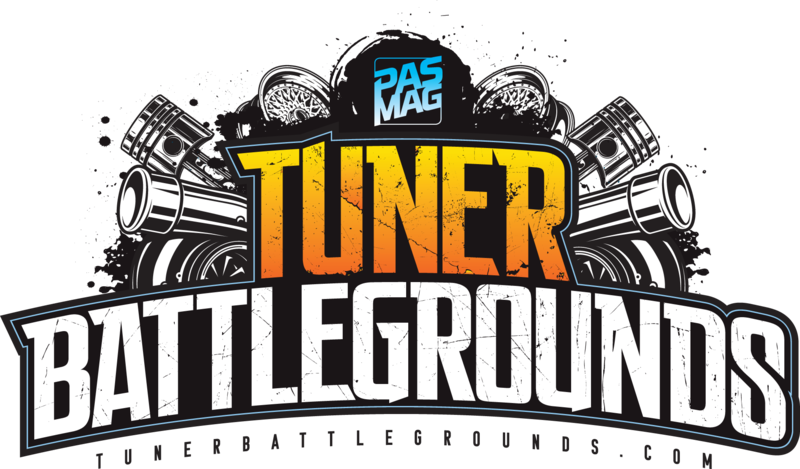 The annual Tuner Battlegrounds Championship provide automotive enthusiasts with an opportunity of a lifetime - to compete against other passionate enthusiasts in North America* for the ulitmate award: A PASMAG cover feature. Hundreds of enthusiastic competitors register each year but only 1 will be left standing. Seeding for the Tuner Battlegrounds Playoffs begins immediately, and inclusion and placement for the Top 64 depended on votes earned throughout the Tuner Battlegrounds #TBGLIVE Season. The #TBGLIVE competitors are seeded 1 to 32 in relation to their total number of votes accumulated in the Tuner Battlegrounds #TBGLIVE Season, while the remaining 32 are decided in the #WILDCARD round of Stage 1: Elimination. Between September and October weekly online voting takes place to narrow the final competitors to 2 (two), one round after another. The Top 2 competitors Tuner Battlegrounds Championship competition receive a VIP Experience that includes, but is not limited to, flight, hotel and credentials to the SEMA Show in Las Vegas, Nevada. 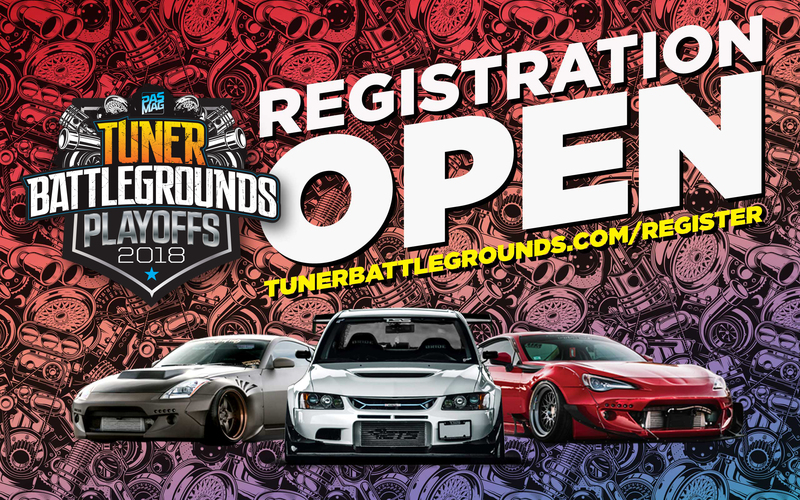 For more information, visit: http://tunerbattlegrounds.com/playoffs. Tuner Battlegrounds #TBGLIVE competitions provide regional competing opportunities for event organizers and participating automotive enthusiasts. A #TBGLIVE competition will added to a participating event as an award category, similar to a "People's Choice" award. Automotive enthusiasts who wish to participate in a #TBGLIVE competition on www.tunerbattlegrounds.com must first be registered in advance (and confirmed) to compete in a #TBGLIVE participating event. The winner of a #TBGLIVE competition receives an exclusive print feature in PASMAG! For 2018, #TBGLIVE will take place at over 2 (two) dozen events spread out across North America. Participating automotive enthusiasts have the opportunity to earn points for the Tuner Battlegrounds Playoffs: Top 64 Tournament bracket. The Category competitions provide competitors with a unique opportunity to battle head-to-head for online votes to win a vehicle product sponsorship from a partnered manufacturer. Winner(s) will also be spotlighted in a print issue of PASMAG. In addition, competitors and voters will have an opportunity to purchase product of a partnered manufacturer at discounted rate. Stay tuned for more information. In the elimination stages, visitors to the Tuner Battlegrounds website simply log-in with their existing Facebook account credentials using the integrated Facebook Login widget. Once logged in, visitors can vote for their favorite competitor(s) by clicking the star on the top of a competitor profile page when enabled (see Schedule). Voting is limited to 1(one) vote per Facebook account per 24 hours of the posted qualified competitors. In the Final Stage, create a new post on Instagram and/or Twitter using the announced hashtag. Only one hashtag is counted per new post (hashtags edited onto existing posts are not counted). Vote totals reset to 0 (zero) at the end of each stage.